Snowden documents show Five Eyes surveillance alliance trying to bug app stores in 2012. 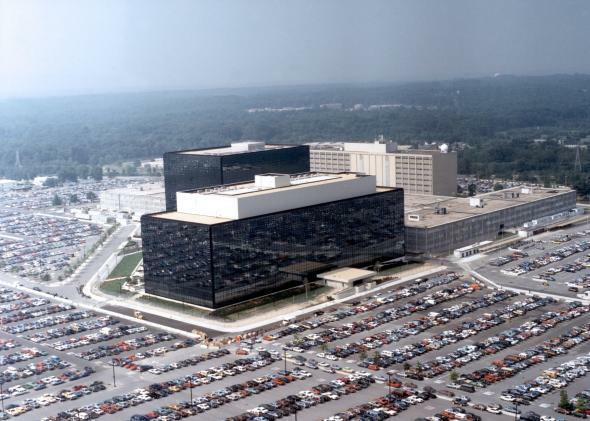 The NSA headquarters in Fort Meade, Maryland. The National Security Agency, working with international surveillance bodies, developed plans to infiltrate popular online app stores so it could covertly install malware on scores of smartphones. This revelation comes from a document obtained by Edward Snowden and parsed by CBC News and the Intercept. Agents working on the covert initiative were part of the so-called Network Tradecraft Advancement Team, and they came from the “Five Eyes” surveillance collaboration of Canada, the United Kingdom, New Zealand, Australia, and the United States. As the Intercept points out, other documents have indicated that the “Five Eyes” developed surveillance malware for broad distribution, but it wasn’t clear how the alliance had planned to spread it. In addition to discussing the propagation of surveillance software, though, the new document also describes efforts to place messages and other communications data on smartphones. The group wanted to send “selective misinformation to the targets’ handsets” to, among other things, confuse adversarial intelligence agencies. The document even describes efforts to access Samsung and Google’s app stores as a way of collecting information on the companies’ customers.